Urethane Bars – Custom Molded Industrial Bars! Urethane Bars ? You’ve come to the right source! 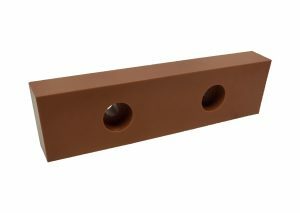 Urethane Impact Bars: Impact bars are found in many applications requiring repeated wear and impact. Urethane impact bars will dampen the harsh slamming of a machine and often times hold up better than OEM replacements at a fraction of the cost. Urethane Cutting Bars: Cutting bars are very popular in the paper industry where abrasion resistance or chemical resistance is a key component of the product. Urethane cutting bars have the unique ability to resist most chemicals and have high-performance in demanding applications like repetitive cutting. 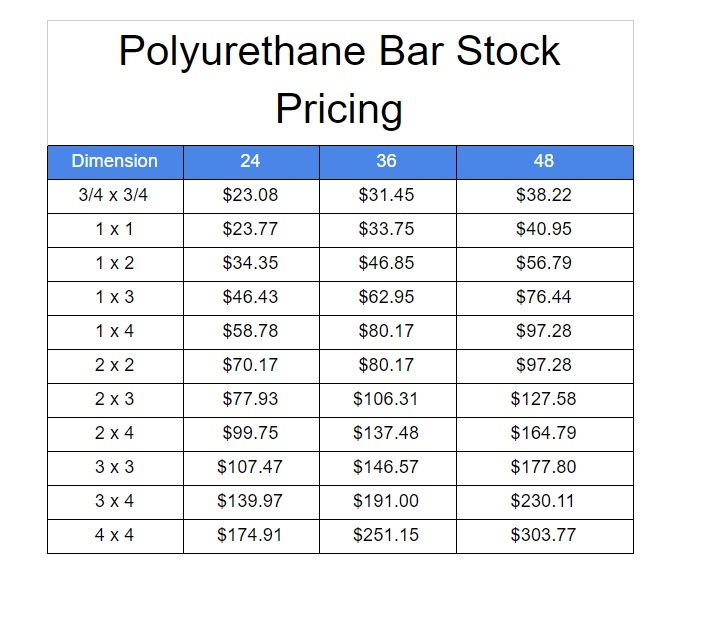 Urethane Bar Stock: Urethane bar stock is custom made to your requirements for low-cost replacement parts. Made from high-quality urethane resin Plan Tech has several ways to produce tight tolerance urethane bar stock or low cast oversized bars. For 30 years we have been building our in-house tooling inventory to be able to produce urethane bar stock up to 10′ feet long, 1′ foot wide and up to 6” inches thick in any hardness or color. Urethane Molded Impact Bars: Molded impact bars are designed for high abuse items in applications like die cutting and paper printing. Cast from high-performance polyurethane material Plan Tech has the ability to mold urethane impact bars to almost any size or thickness with what we like to call our hot molding strip table. 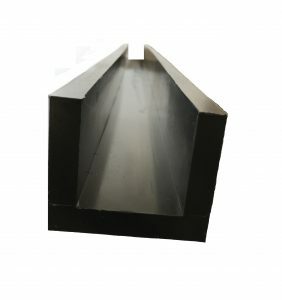 Polyurethane Square Bar Stock: Polyurethane square bar stock is rapidly produced at Plan Tech on our custom polyurethane manufacturing casting tables designed to produce any thickness or size bar. Our table has a movable fence to accommodate any width or length required for the polyurethane square bar stock. Metric or oddball sizes are no problems for us! Molded Rectangular Bars: Some of the major advantages are their ability to form and hold metal without marring its surface finish, it also exhibits a high level of non-compressibility and resiliency. In addition, rectangular bars have excellent noise abasement property, flex life and are tear resistant. Urethane Square Bars: Square bars can also be produced for other uses such as die cutting and bumpers which can be used for large industrial equipment. Plan Tech also produces urethane square bar stock that is utilized by shipping companies to protect delicate electrical equipment transit. Molded Polyurethane Cutting Bars: We boast a 30 years’ experience of manufacturing high-quality polyurethane cutting bars and we are renowned in the industry for high volume production of urethane products at a fast turnaround utilizing speed and precision to ensure consistency in quality and rate of delivery. Molded Bars: Plan Tech continues to utilize the strength of polyurethane to produce high-end design and durable molded bars and products, making it the design selection for engineers. We mold non-standard bar sizes using an open cast molding process and in a lot of applications without a tooling charge. Some major advantages of urethane and molding bars are its ability to be abrasion resistant with a longer working life vs rubber or plastic. Plan Tech’s bars are also oil and solvent resistant offering vibration damping and shock absorbance. Urethane is most efficient between -20° F. and 170° F. Polyurethane bars are cast products which are superior to extruded thermal plastics that have become very popular due to its high load carrying ability. Our molded bars are cast with high-quality thermoset polyester or polyether depending on the application. We manufacture cast bars to custom sizing specifications. Plan Tech’s industrial bars can have a wide hardness range, with formulations from 20 Shore A to 75 Shore D. We also manufacture in custom or standard diameters, lengths and wall thicknesses. Our standard line of bars and bar stock will hold +/-.060 with the ability to hold tight tolerances by molding the bar to size. We also have a full machine shop able grind the surface of cast bars to hold tight tolerances. Our machine shop uses CamWorks for 3 axis milling and equipment includes CNC mills, lathes, polyurethane grinders as well as a state of the art urethane waterjet cutting machine. Secondary equipment includes sheet metal, welding, grinding, automated cutoff, broaching and more. For over 30 years we have focused on using Speed and Precision to rapidly deliver the highest quality industrial cast urethane parts to our customers. Plan Tech manufactures the highest quality industrial cast urethane parts to our customers. 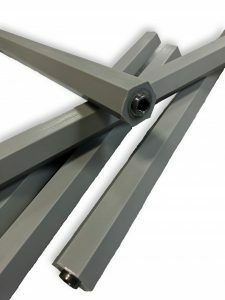 A particular strength is the breadth of our in-house capabilities such as urethane compression molding and grinding urethane parts which, when combined with our extensive experience, enables us to deliver tight tolerance custom rubber bars while maintaining the quality control and cost effectiveness our customers require. The tests are performed according to an established set of standards provided by an accredited testing organization such as the Society for Testing and Materials (ASTM) who define the procedures in detail. Are you interested in cast Urethane Bars? Please Contact us so we can help solve your requirements and work with you on your specific application!